How do I add content to an item bank in Quizzes.Next? Once you create content in an assessment, you can add it to an item bank for use in other assessments. 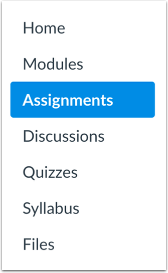 You can add questions or stimulus from any course where you have permission to create and edit a quiz using Quizzes.Next. After a question has been added to an item bank, all question properties other than point value and certain options must be edited in the item bank. You should make sure your question is complete before adding it to an item bank. To open an assessment, click the title of the assessment. Locate the question you would like to add to the item bank . Click the Edit icon . Click the Item Banking button. Click the Add to Bank link. To add the item to an existing item bank, click the Existing item bank option . 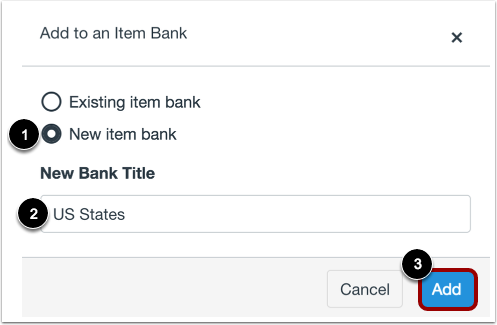 Then select the item bank you want to use in the Select the destination bank drop-down menu . To add the item to the bank, click the Add button . To create a new bank for the item, click the New item bank option . Then enter the name for the new bank in the New Bank Title field . To add the item to the new bank, click the Add button . Previous Topic:How do I create an item bank in Quizzes.Next? 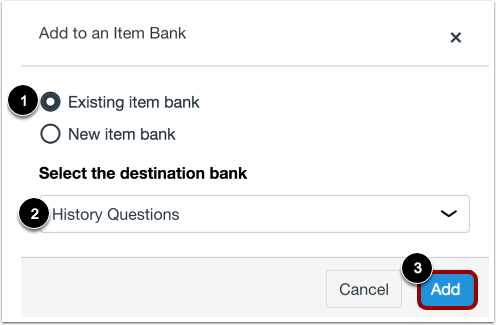 Next Topic:How do I import questions from a QTI package into an item bank in Quizzes.Next? Table of Contents > Quizzes.Next > How do I add content to an item bank in Quizzes.Next? Re: How do I embed an uploaded audio file into a quiz question?